Malcolm X, aka ‘The People’s Blesser’, who often gives away money to students on campuses, doesn’t seem welcome at VUT any more. 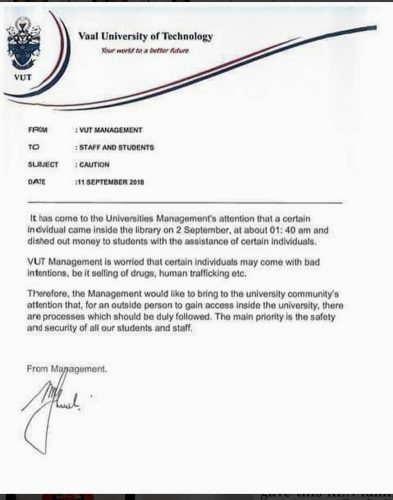 In a post on social media, well-known eccentric socialite and businessman Malcolm X shared a letter on Tuesday supposedly written by Vaal University of Technology management cautioning students and staff against him. It refers to him as a “certain individual” who came to the university library on 2 September in the early afternoon and “dished out money to students with the assistance of certain individuals”. The university said they were concerned that this act of apparent largesse might have had bad intentions, “be it selling of drugs, human trafficking, etc”. They vowed to tighten security on the campus. The businessman has been making headlines over the past few months for giving away cash to students and other people in need. 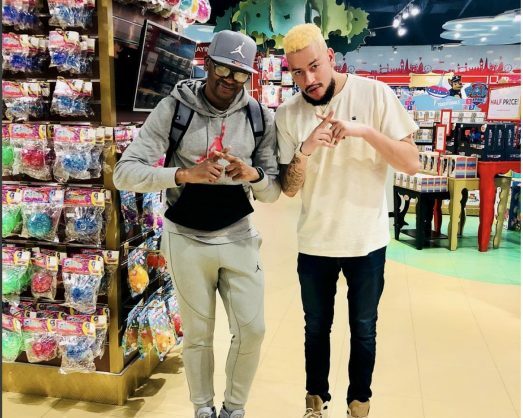 Late last year he was called a “blesser with a difference” when he posted a video of himself giving money to two homeless guys for Christmas, and another in a clothing store when he gave a grandmother and her granddaughter money for school shoes for the girl. He has called his regular visits to campuses to give money to students the #StudentChallenge. Malcolm X, who now says he’s also known as “Business”, is originally from Sebokeng in the Vaal. He once got into a fight with Home Affairs to have his name legally changed to Malcolm X, in tribute to the late US civil rights icon, but the system would not allow him to have a single letter as a surname. He eventually won the fight. 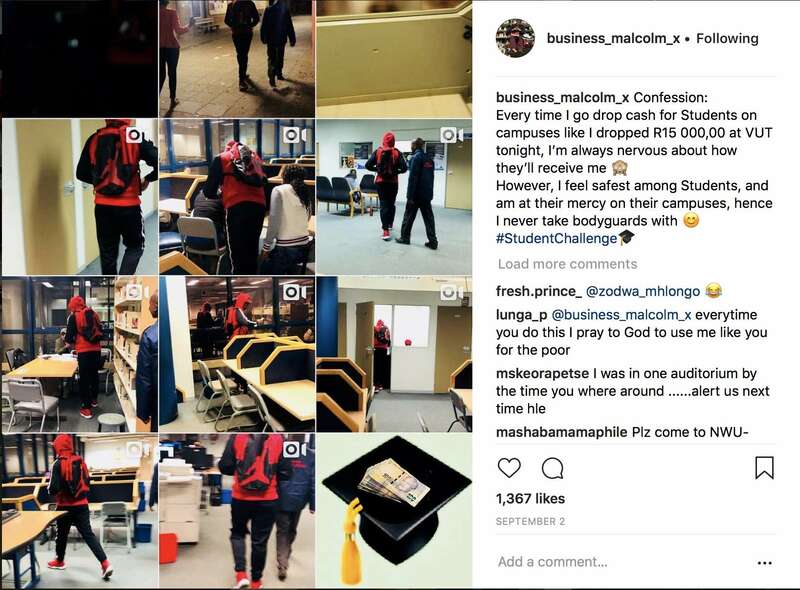 A collage of the videos and clips Malcolm X shared on social media of himself in the university library giving away money. He has explained that he visits old age homes, orphanages and homeless shelters to offer people help, as well as giving money to other causes. He can regularly be seen hanging out with local and international celebrities and other public figures in his social media postings. He was recently dubbed “The People’s Blesser” by some in the media.